This post has been based on a series of tweets by Derrick Thomas on Twitter. The first few tweets are embedded in the post. If you are on Twitter, please do go through the whole thread. The funny thing about Aadhaar based mobile verification is that it enables terrorists to get a legal mobile connection without any fuss. All you need is an Aadhaar card and you can get as many mobile phone connections as you want. The funny thing about Aadhaar based mobile verification is that it enables terrorists to get a legal mobile connection without any fuss. 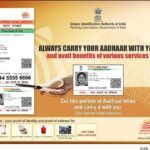 If a terrorist enters India and manages to live for six months without being caught, he is “entitled” to get an Aadhaar number. 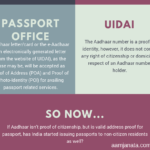 Aadhaar is not proof of nationality. It can also be made if you have no proof of identity or address. Once he has an Aadhaar, things are easy. He can get as many mobile connections as he wants, get a bank account and even a loan. He can even get a PAN number, rent a home on the basis of that, get an Indian passport. Once he has an Aadhaar, things are easy. He can get as many mobile connections as he wants, get a bank account and even a loan. Derrick Thomas is absolutely right . Many of illegal entrants got Adhar but putting “place of birth” , Country of birth” who are residing in India since 1950 but originally Bangladeshi,as there is no validation mechanism except self declaration which cannot be expected to be right . It’s difficult to figure out these illegal migrants who will eventually eat up our resources depriving real Indians who really need upliftment …. West Bengal and other north eastern states shares huge border with Bangladesh. There is a continual flux of illegal entrants changing the demographics and depriving opportunities of local people . Large number of people who illegally migrated to India between 1950 onwards giving false “Country of Birth” , “Place of Birth” to get an Adhar card . Since there is no validation they are getting those cards very easily. It’s a known practise that making PAN card requires no validation but since when we are introducing a more scientific cards why are we not validating the information . 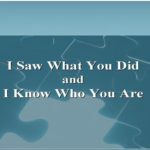 With a huge investment creating a database with corrupt information . It’s not possible to catch the offenders though the law is having some feeble provision. Also probably citizen of couple of countries including Bangladesh are not allowed to open bank account without the permission of Reserve bank of India . But in Adhar as they have mentioned they are Indian no such rules become applicable for them. I think this made India heaven for illegal Migrants.